India's government is set to undertake a multimillion dollar reconstruction of 49,000 houses for internally displaced people in former war zones in northern and eastern Sri Lanka, which almost doubles the number of homes under construction or completed for returnees. Indian and Sri Lankan leaders signed a memorandum of understanding in January 2012. The Indian government is finalizing its implementing partners and plans to begin construction by the middle of 2012. "This project has captured the popular imagination and there is a lot of expectation on the ground here," Anurag Srivastava, first secretary at India's embassy in Sri Lanka, told IRIN. "Our initial pilot project to construct 1,000 houses is already in advanced stages of completion." The total projected cost is US$260 million, which would make it one of the Indian government's largest humanitarian grants thus far. The UN Human Settlements Programme, UN-HABITAT, estimates 100,000 homes need to be repaired or rebuilt as the conflict-displaced return home. As of 31 January, 16,400 permanent homes had been completed, with the construction or repair of another almost 10,000 under way or about to start. Groups working on housing in the north include the Sri Lankan government, the UN, US-based Habitat for Humanity NGO, India-based SEED, UK-based Muslim Aid, Czech Republic-based People in Need NGO; and local groups Community Trust Fund and Sarvodaya. Along the A9 highway running through the north, few homes or buildings escaped unscathed, as fighting between government forces and the defeated Liberation Tigers of Tamil Eelam (LTTE) intensified in the final months of the war, which ended in May 2009. The LTTE had been fighting for an independent Tamil homeland for more than two decades. According to Srivastava, this project will be largely "owner-driven", where the displaced build their own homes with technical assistance and support provided by community implementing partners. There are no out-of-pocket costs for the new homeowners. "We have a lot of hope for this project. Shelter is our main need. 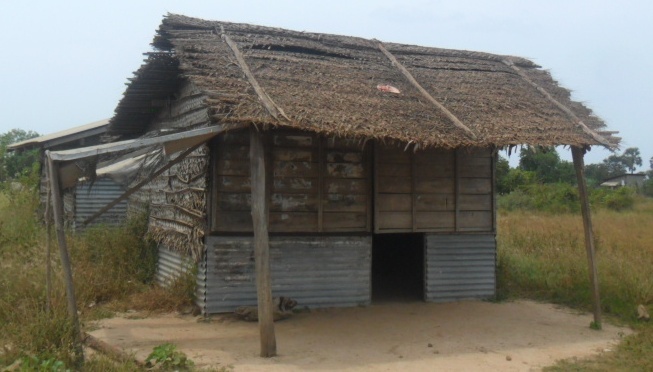 Some of us have been living in temporary shelters for over two years now," said Koneshwari Veerasigham, 52, who has been in such a shelter in the northern town of Kilinochchi since 2010. "To have a proper house is like a dream after all we went through during the war. We are very hopeful," she said. The construction of 49,000 houses for resettlement and rehabilitation of IDPs in Sri Lanka is part of the overall commitment to build 50,000 houses announced by India's Prime Minister Manmohan Singh in June 2010. By the end of January 2012, 456,000 people (138,000 families) displaced at various stages of the three-decade long conflict had returned to the Northern Province, the zone hardest hit by the conflict.